Despite the overall glamorous feel of The Blue Lagoon one thing that definitely does not feel glamorous is the squelchy feeling between your toes as you step out into the lagoon. But, unlike the grey, green mud you might imagine, this is actually silica mud, which is pure white and available in handy boxes all around The Blue Lagoon for you to slather on your face and body! 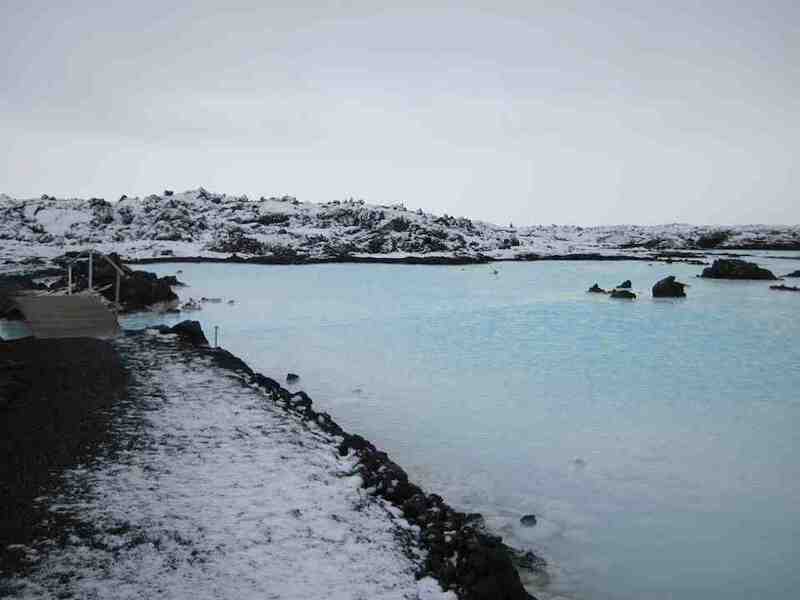 The Blue Lagoon is a very strange spa in that it originated from the seawater running off from the geothermal power station next door. It looked so appealing with its blue luminous colour that people started bathing in it... and realised their skin felt much better after doing so. The silica is actually in the seawater, as well as many other minerals and even algae, but settles once it arrives in the lagoon. It’s used in beauty products for its exfoliating and deep cleansing effects and the research team at The Blue Lagoon have discovered it strengthens the skin’s barrier functions. Personally I found that my hands were really soft and strong after my dip in the lagoon. Having said that it’s worth testing the silica, like anything else, on small areas of skin before going crazy and slathering it all over. Personally I just found it a little cold on my skin, but my friend did find it made her skin irritable.